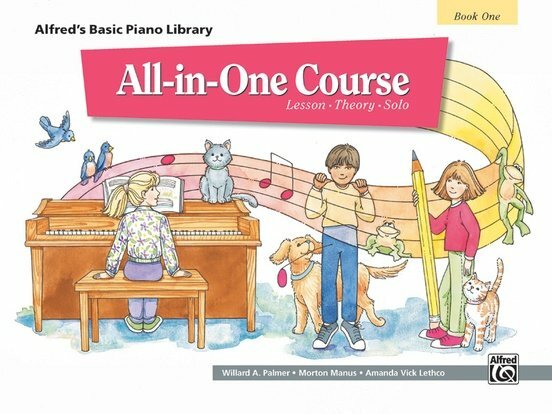 The "All-in-One Course for Children" takes all of the pages from "Alfred's Basic Piano Library," Lesson Books 1A and 1B, plus selected pages from Theory, Recital, and Fun Solo Books and combines them into part of a sequential five-book series. At the completion of Book 5, the student will be ready to continue into Level 3 of "Alfred's Basic Piano Library" or "Alfred's Premier Piano Course." This course is most effective when used under the direction of a piano teacher or experienced musician.